The team successfully made it through the abstract selection process to present on five project areas that will share their industry-leading approaches on using real-world NHS data sets and applying population health techniques to better inform health system improvements. This has resulted in the accolade of their poster presentation ‘Application Of Real-World Evidence To Assess Outcomes After Surgical Treatment For Benign Prostatic Hyperplasia’ being awarded as a semi-finalist for a Research Poster Presentation Award. Using linked datasets to benchmark surgery for BPH the research asks: Are patient needs truly being met? 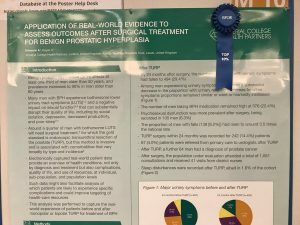 It builds on the team’s success at ISPOR Baltimore – where the team were awarded a Best General Poster Presentation Award for their research providing the first ever economic data analysis comparing traditional surgery for BPH, known as TURP – transurethral resection of the prostate, with the minimally invasive UroLift® System. 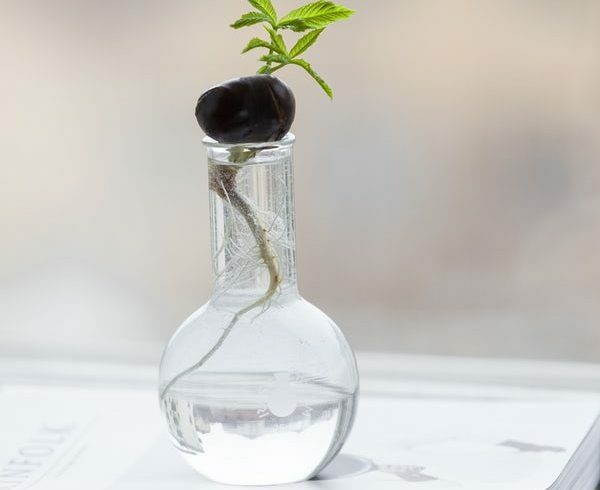 The research explores replacing traditional TURP surgery with a minimally invasive treatment that uses implants and avoids tissue removal, which could halve post-operative complication rates and potentially save the NHS up to £27 million a year in complication-related costs. To complete the roundup of ISPOR conference events, several ICHP studies have been selected for presentation at ISPOR Europe 2018 ‘New Perspectives for Improving 21st Century Health Systems’ from 10–14 November in Barcelona. They will include their recent study looking at how diabetes apps can help patients manage their condition better and reduce dependence on medication, which has been selected for a podium presentation. These research projects are just a few of the studies that ICHP has recently undertaken in collaboration with our clinical and academic partners, alongside SMEs, looking at how we can help accelerate the adoption of innovation to make care safer and more effective across the NHS.